Brings the Hispanic/Latino voice to the Church, and promotes the development of Hispanic leadership within both the laity and the clergy. Promotes awareness of the presence of Hispanics/latinos and acknowledges their gifts to the life of the Church. Is a source of information and support for the development and growth of Hispanic/Latino Ministry within the Episcopal Diocese of Newark. 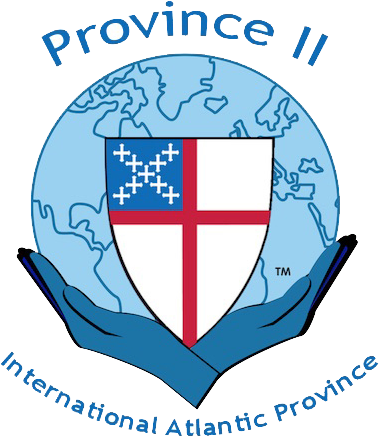 Creates a lay/clergy community that crosses congregational boundaries in the Episcopal Diocese of Newark. Acknowledges and deals with the effects of power dynamics in the growth and development of community in the Church. St. John's Church / La Iglesia de San Juan, Dover - Sundays 12:30 p.m.
St. Paul's Church, Paterson - Sundays 1:30 p.m.
Holy Trinity Church, West Orange - Sundays 12:30 p.m.
Traiga la voz Hispana a la iglesia y promueva el desarrollo del liderazgo hispano tanto a nivel laico como clerical. Desarolle conciencia de la presencia de los hispanos y reconozca sus contribuciones a la vida de la iglesia. Crea una fuente de información y apoyo para el desarollo y crecimiento del ministerio Hispano en la Diócesis de Newark. Desarolle una comunidad de laicos y clérigos que vaya más allá de los limites de las parroquias en la diócesis Episcopal de Newark. Reconozca y enfrente los efectos de las dinámicas de poder en el desarollo de trabajo comunitario en el iglesia. St. John's Church / La Iglesia de San Juan, Dover - Domingos 12:30 p.m.
St. Paul's Church, Paterson - Domingos 1:30 p.m.
Holy Trinity Church, West Orange - Domingos 12:30 p.m.